Sourya Banerjee catches up with the immensely talented Tejaswini Ranjan. 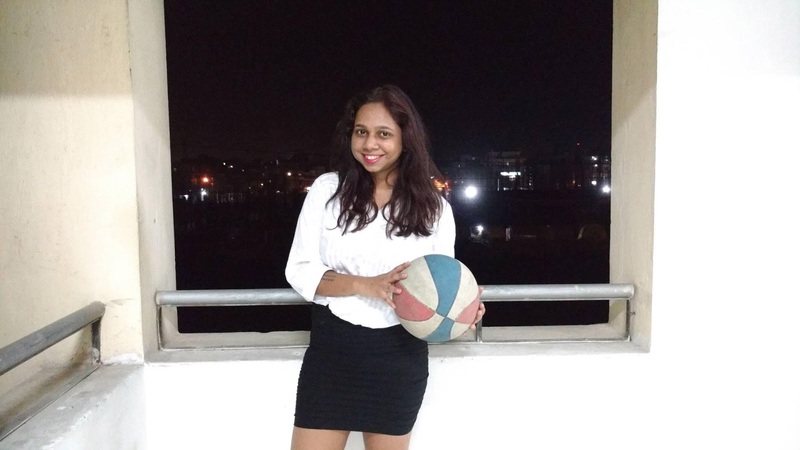 Tejaswini, a fourth year CNLU student, is the Founder and CEO of Plawyered, India's only student run Sports Law magazine. Sourya Banerjee (S): Was Law something you had wanted to do ever since your school days? Tejaswini Ranjan (T): When I was in school, I wanted to pursue journalism. But hailing from a Bihari household, dwelling in a small town and studying PCM in the intermediate, meant all I could become, was an engineer. I didn’t write engineering entrance exams, and instead luckily passed law and journalism entrances. I could somehow convince my parents for law, but not for journalism. And, that’s how I landed in law. (S): How important are co-circular activities according to you? (T): I have spent most of the fourteen years of my school life and four years of my college life in taking part in co-curricular activities. I have made contacts, minted money and learnt numerous things which I could have never learnt in the classroom. (S): When did you first discover the entrepreneurial bug in yourself? (T): Back in 2013, when I co-founded Click Internship with my classmates and started working with the Knowledge Steez. Then in 2014, I started a journal on rural development issues named Pragamana. We had once conducted a national essay writing competition and had also launched a free course via Pragamana. And then randomly one day in a hot shower, I came up with the idea of Plawyered. The bug is still bugging. (S): Was a life changing/defining moment for you, while studying in law school, which made you who you are today? (T): When I had joined law school, some of my seniors were planning to come up with a magazine and to select writers for the same; they conducted a test in which I was also selected along with a few of my batch mates. After the selection, I received horrible remarks for all my articles; I left the group and that was one very depressing phase for me. I had almost given up the idea of ever doing anything of that sort, but the journalism bug bugged back and here I am. (S): Please tell us more about Plawyered. (T): Plawyered is a sports law blog. We now have a monthly magazine also which we started on Valentine’s Day this year. 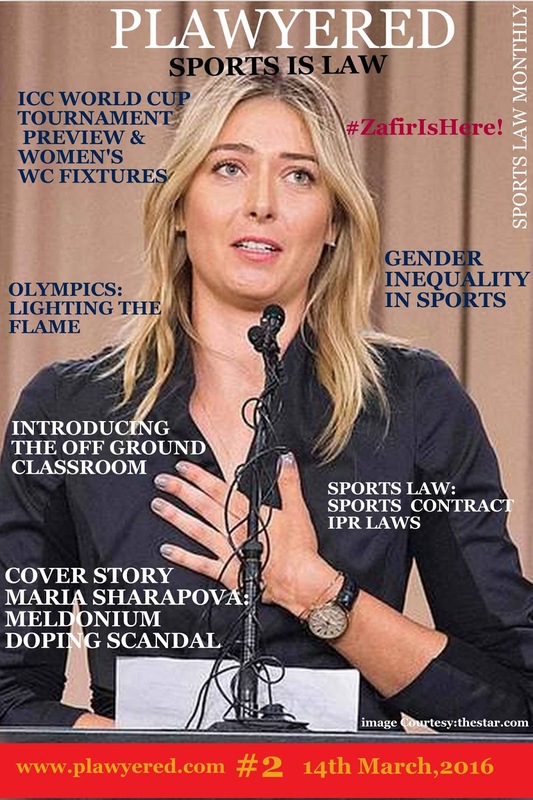 In the magazine, we have been publishing articles on topics relating to Sports law, sports industry and sports management. The content of the magazine also includes updates from CAS, WADA, Olympics, Case studies, and special coverage on any international tournament which is taking place, upcoming month’s fixtures, and monthly round up from the blog. wanted to do something innovative and came up with different ideas. But, starting a sports law blog was never a plan. It was one day when I was writing an article on a sports law issue and thought of starting a sports law blog as I couldn’t find anything of that sort. The other reason being sports is something I can never get bored of. As of now, I am planning to pursue higher education in sports law and management. (S): What would you consider as your single proudest moment with respect to Plawyered till date? (T): Coming up with India’s first sports law magazine is the proudest moment for me and this wouldn’t have been possible without Gaurav Misra who is the Publishing Editor of the magazine. I had planned to start the magazine six months back, employed authors but then, the plan failed. For this, I owe a lot to Gaurav. We received a lot of appreciation for the magazine and a lot of credit goes to him. (S): What are your future plans with Plawyered? 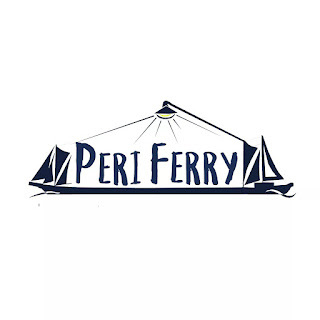 (T): Plawyered started with a blog and now we have a magazine also. We have also started covering sports fests. I intend to convert Plawyered into a sports management company and if possible, also a research portal for sports law. (S): How important is it to properly balance between studies and your passion? How do you manage to do the same? (T): To be honest, my studies have suffered a lot because of my engagement in other activities. I consider this bad but I absolutely have no regrets for the same. I have somehow managed to pass all my law schools till date and now since I am no more working at other portals, I am able to devote comparatively more time to studies. But, most importantly, I make sure not missing cricket matches, and when in season Pro Kabbadi, ISL , Tennis matches and yes, Arsenal’s matches, in any case. Other things can wait, you know! (S): Some words for those law students who want to chase their passions but are too scared to task? (T): Your mates will make fun of you, your relatives will mock at you, parents will tell you how you are wasting your time and their money, buy you a book for judicial exam preparations and depict all the luxuries of a 9 to 5 job; but don’t stop! Chase your dreams, because ‘ZINDAGI NA MILEGI DOBARA’.